Thinking of sending samples of your vegetables to the Plant and Pest Diagnostic Lab for diagnosis or insect ID? Here are some tips to help the samples arrive in the best possible condition for testing. If sending more than one kind of plant or problem be sure to label each bag specifically and fill out a separate form. The PPDL is closed on weekend so if you are sending samples make sure you send them early in the week so they are not in transit over a weekend. Express delivery (next day or second day) is preferred for samples that may not hold up well. You are also welcome to deliver samples to us on campus. See our website for location, parking and other information. 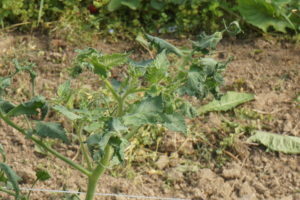 What varieties or types of plants are affected? 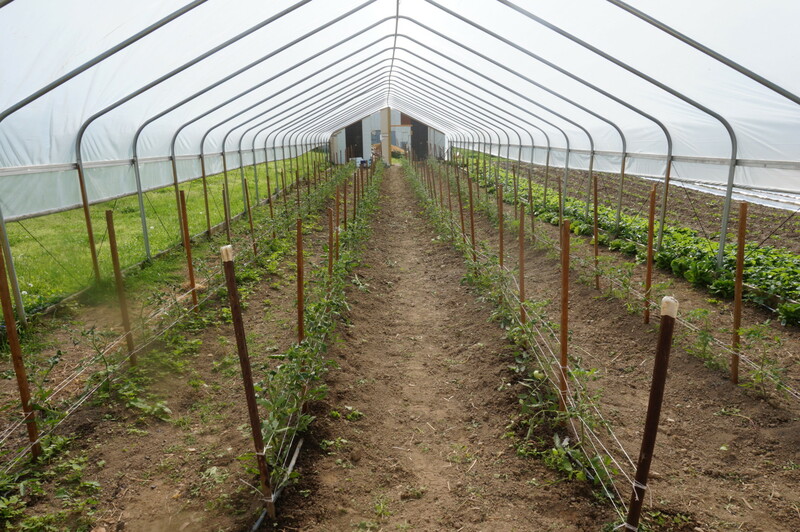 Is there a pattern in the greenhouse/high tunnel/field? Select sample material that is representative of the main problem. 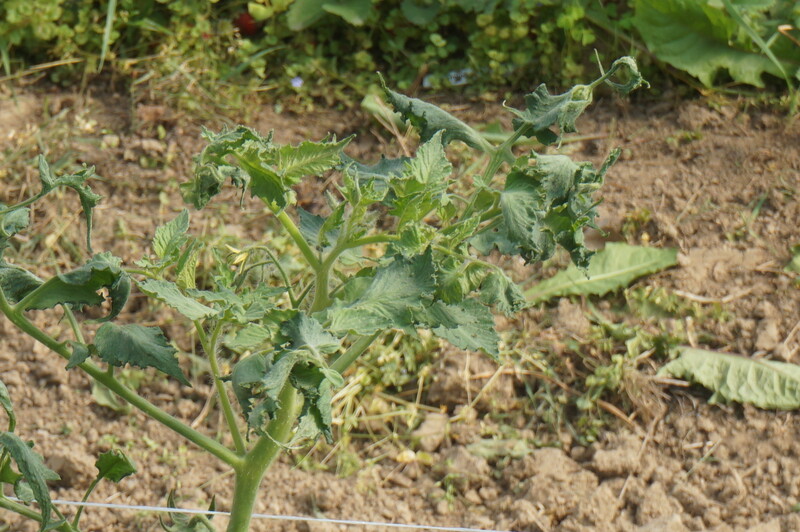 The sample should include a range of symptoms from early onset, to most severely affected plants. Seedlings: Keep seedlings in the plug tray so media stays put and doesn’t end up on the leaves. About half the tray is a good sample size. 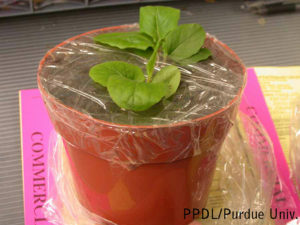 Place crumpled dry newspaper on top of seedlings then place inside a plastic bag with some vent holes for shipping. 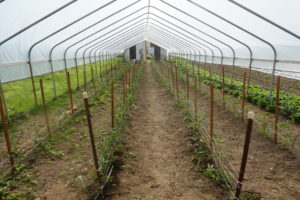 Alternatively, floating row cover fabric or other light fabric/mesh also makes a good cover to keep seedlings in place instead of the newspaper and plastic bag (Figure 1). Figure 1. 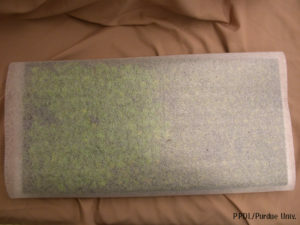 Seedling tray covered in light foam material for shipping. Small plants in pots: Keep the plant in the pot and wrap the media surface with plastic wrap or foil to keep soil intact. About 6-8 plants would be ideal. Ship with ample padding in a sturdy box to prevent shifting during handling (Figure 2). Figure. 2: Small pot covered with plastic wrap for shipping. Figure. 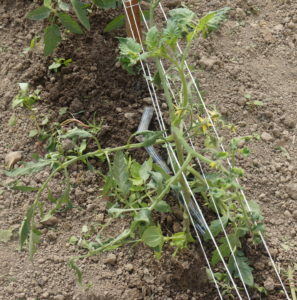 3: Tomato plant in high tunnel. Dig the entire plant if practical. 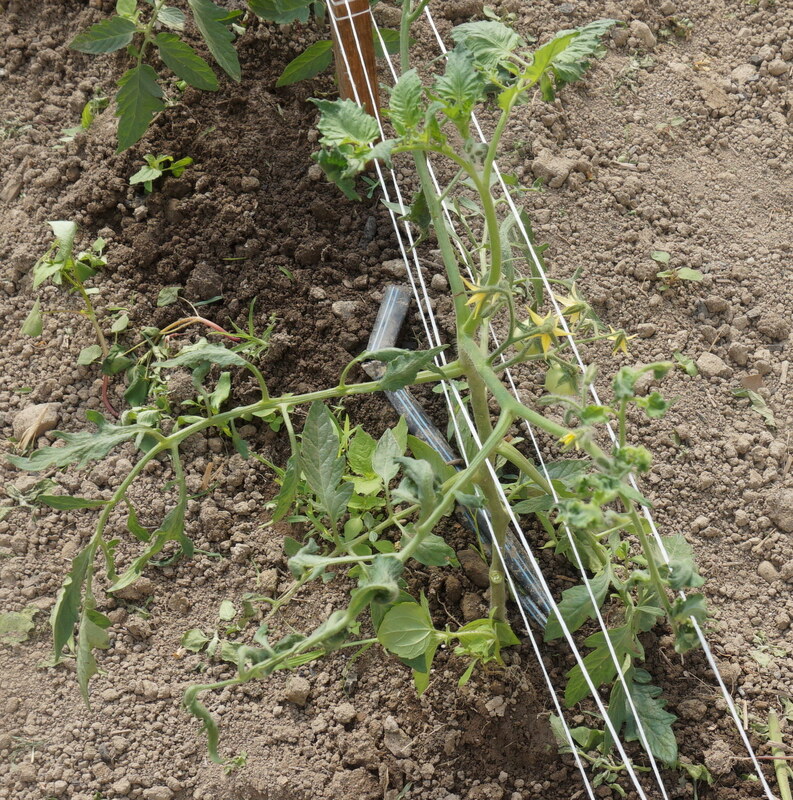 Cover roots and soil with a plastic bag to keep soil off foliage. Photos: Sending photos of a problem is always helpful to give us a better idea of the extent of a problem; (Figure 4 & 5) and may be a good way to let us help decide what kind of sample you will need. The same sample handling fee covers photos, a physical sample or both. Upload your photos and fill out our online form at: https://ag.purdue.edu/btny/ppdl/Pages/digitalimages.aspx You can also email photos to ppdl-samples@purdue.edu (15 MB size limit). Figure 4. A broad view like this gives an idea of the extent and distribution of the problem. Figure 5. A close-up view shows symptoms of leaf distortion to assist with diagnosis.